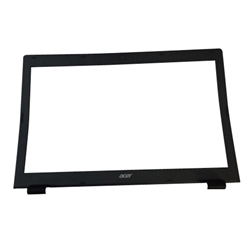 New Acer Aspire E5-722 E5-772 Laptop Grey Lcd Front Bezel 17.3"
Home → Laptop Case Parts → Acer Aspire E5-722 E5-772 Laptop Grey Lcd Front Bezel 17.3"
Acer Aspire E5-722 E5-772 Laptop Grey Lcd Front Bezel 17.3"
Description: New Acer laptop lcd front bezel. This original part is grey and textured. This may be the part you need to replace your cracked or broken lcd bezel. Compatible Part #'s: 60.MV9N1.001, 460.04X02.0001, 441.04X02.0001. Acer Aspire E5-722, E5-772G, E5-772, E5-772G.